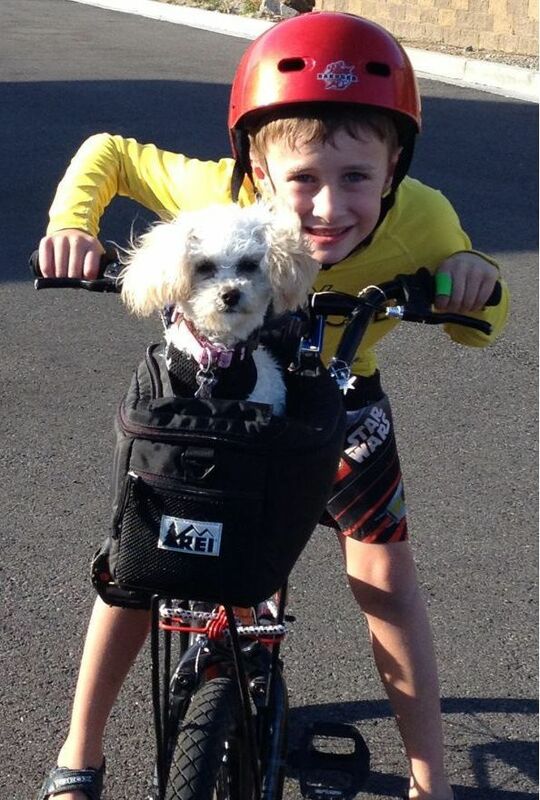 My husband, Seattle child bicycle accident attorney Chris Davis, and I were thrilled when our son Jackson (pictured below with our dog, Lucy) learned how to ride a bicycle without training wheels. But our excitement soon turned to fear because we have seen first-hand the kinds of injuries that children can receive when they are hit by cars while riding their bicycles. Often these severe injuries result in the death of the child. It’s simply heartbreaking. When I was very young I witnessed another child get hit by a car while riding their bicycle. Back in those days kids didn’t wear helmets. It was terrifying. The driver was traveling too fast through a residential neighborhood and didn’t slow down when he saw a group of children on bikes. He hit the child from behind—the kid never saw it coming. Luckily the boy was thrown forward and to the right into a large bush that broke his fall. He required a few stitches but wasn’t severely injured, thank goodness. Attorney Chris Davis, my husband, has helped dozens of families in Washington State get through the nightmare of a child bicycle accident. We’ve seen severe head/brain injuries, broken bones, severed limbs, and horrible disfiguring as a result of a child bicycle accident involving a car. Medical bills for such injuries can be staggering. The at-fault driver always says that they didn’t see the child. And their insurance company frequently tries to blame the child—saying that child didn’t watch where they were going or follow the rules of the road. But despite these challenges is it possible to succeed in legal action against the at-fault driver. To learn about your child’s legal rights after a collision with a vehicle contact our office at 206-727-4000. As for copies of Chris’s books on child injury law and bicycle accident law. We’ll send you copies of each for free. And you can schedule a no-obligation consultation with Chris to discuss your child’s case. Fifty percent of U.S. children between 5 and 14 years old own a bicycle helmet. Only 25 percent of children where a helmet every time they ride a bicycle. Over 250,000 children are injured in bicycle accidents each year. Approximately 100 kids are killed in bicycle accidents every year. Over 600 children are injured every day due to bicycle-related crashes. Twelve percent of child bicycle accident victims are under the age of 4. Approximately 27 percent of kids injured in bike accidents are between the age of 5 and 9.